Ross & Cromarty Roots | Thomas Mackay. 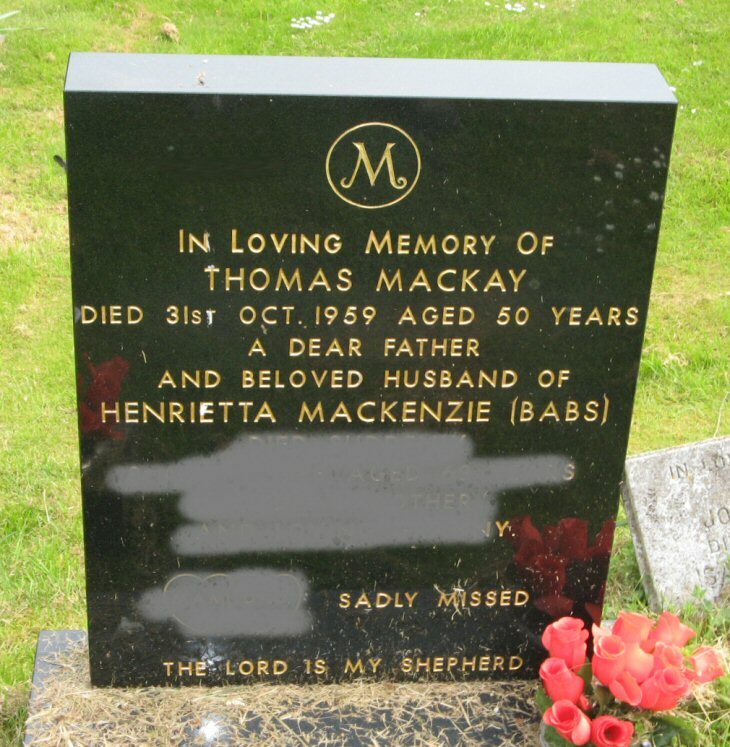 In loving memory of/THOMAS MACKAY/died 31st Oct. 1959 aged 50 years/a dear father/and beloved husband of/HENRIETTA MACKENZIE (Babs). Sadly missed/The Lord is my shepherd. Picture Added on 09 July 2010. Added by H fraser on 10 July 2018.